Traditional Polish food is deemed by many to be delicious and unique. In today’s Poland food plays an important part of everyday life and determines parts of the day. Although there are influences of other cuisines and cultures, Polish people love their own food! If you are visiting Poland, your stay can only be successful if you try some of the Polish meals. In Poland food habits had been shaped over time by many ethnic and religious influences. 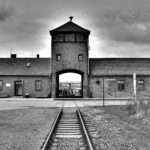 For many centuries since the Middle Ages, Poland has been a huge kingdom, bonded with the neighbouring Lithuania in a commonwealth. 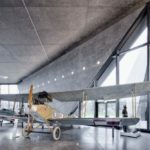 People of many ethnic roots inhabited the country that spread from the Baltic Sea in the north to the furthers corner’s of today’s Ukraine in the south. As a result, Polish cuisine is rich a varied. There are also influences from other countries which in that way or another had caught on Polish taste. Typical for Polish cuisine are grain-based dishes – groats, breads and various flour dishes. 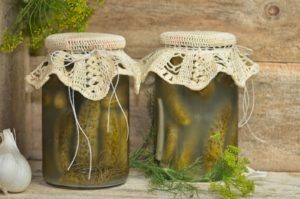 Polish cuisine includes a relatively large amount of soups from local plants, such as beets, different types of cabbages, cucumbers, as well as wild plants like sorrel and nettle. 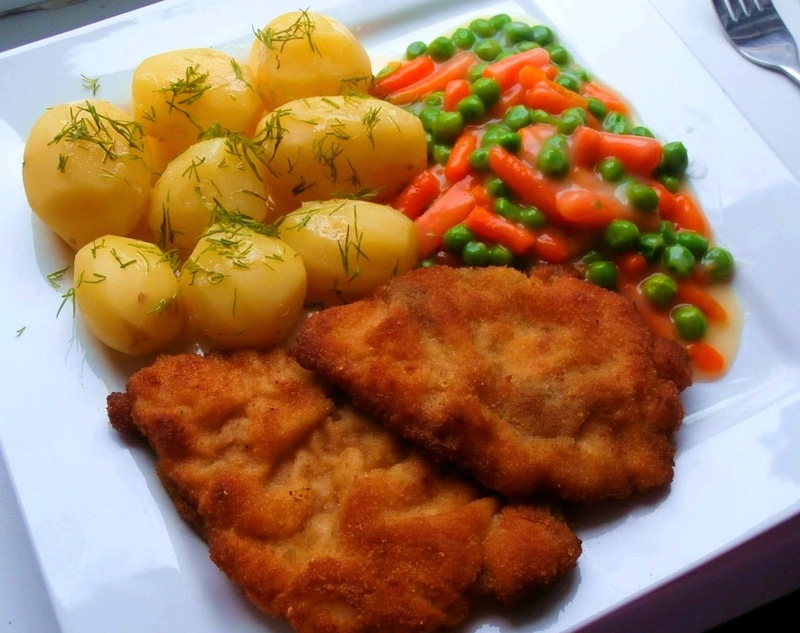 A large role in Polish cuisine is also played by vegetables with high nutritional value that can be stored during the winter period, such as peas, beans, turnips. The most popular fruits are apples and forest fruits, as well as plums, pears, cherries. All these fruits are still used in dishes, desserts, pastries and tinctures as well as in typical Polish beverage – stewed fruit (kompot). As Poland has always been a largely forested country, not only forest fruits are popular, but also mushrooms. Probably the most distinctive feature of Polish cuisine are preserves, mostly pickled vegetables and fruit jams. For centuries, people kept domestic cattle for dairy products, such as widely used sour cream (śmietana) and dry cottage cheese (twaróg). Pigs were bred for meat, mostly pastured in forests. 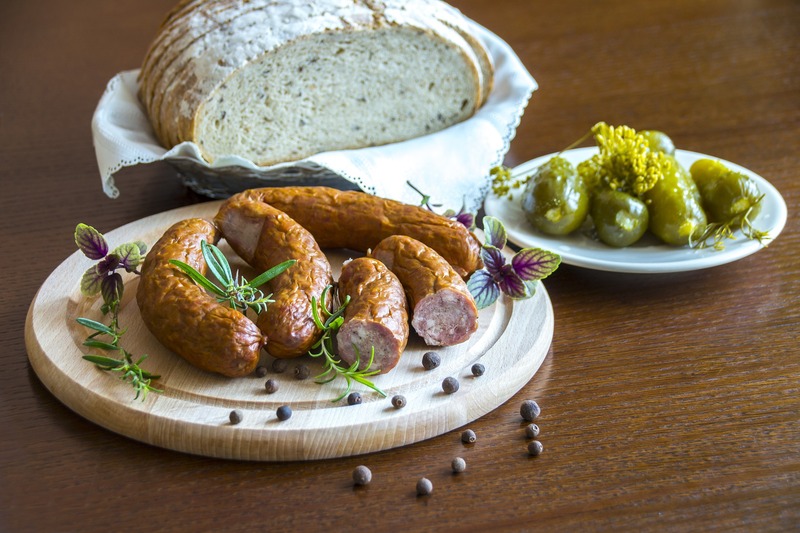 Traditional Polish meat dishes are made of poultry, pork and game. Typically fish were not eaten often, with the exception of still very popular herring. Sheep milk has been known primarily in the mountains and used to produce very unique cheeses – oscypek and bryndza. Polish cuisine is best defined by its dinners. In previous decades, the main meal was eaten quite early – around 3 p.m. Today it sometimes might happen on a Sunday family gathering. Traditional Polish food varies a little in different parts of the country. However, there are Polish meals that are popular in the whole country and definitely worth trying! Which Polish meals should you try? Pierogi is a Polish dish you absolutely have to try! 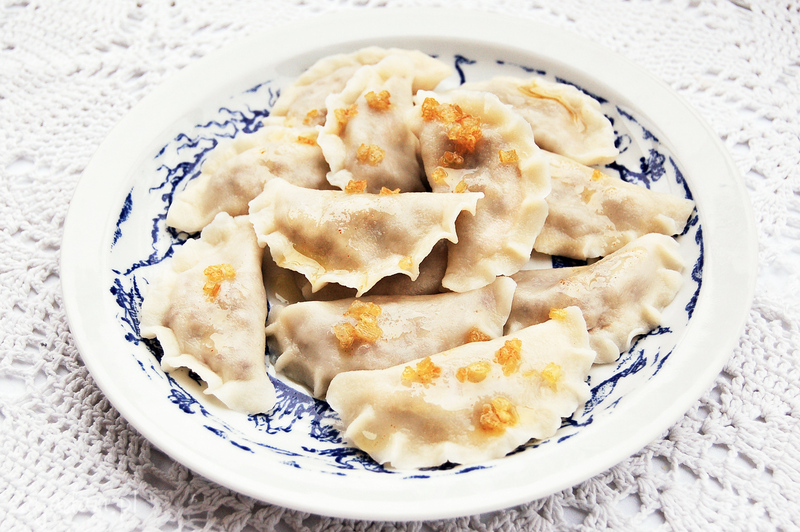 Arguably the most well-known amongst tourist and the most beloved amongst Poles are pierogi. They are made of unleavened dough with sweet or savoury filling, cooked in boiling water. Typical filling include sauerkraut (with mushrooms for Christmas), potato with sour cream, ground meat, white cheese (twaróg) and seasonal fruits. The dough pocket is closed around the filling to create half a circle, then sealed. 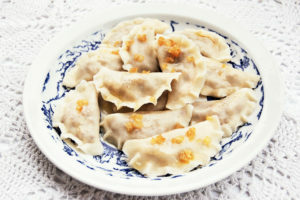 After being cooked in boiling water pierogi are served with butter or cooking oil, sour cream, salo bits (skwarki) or onion. Bigos, is another typical Polish dish. Bigos is made of chunks of meat (any type) with sausage (kiełbasa) and sauerkraut mixed with fresh white cabbage. Sauerkraut with cabbage are first precooked in a small amount of water, then mixed with meat and left to simmer for several hours. Sometimes mushrooms are added. Bigos is most often eaten with potatoes or bread. A Polish dish that is almost venerated by the Poles is kotlet schabowy. A portion of pork is cut, pounded with mallet to make the cutlet flat, then dipped in egg and covered in breadcrumbs, then fried. Kotlet schabowy is served with boiled potatoes sprinkled with dill and sauerkraut or other salad (cabbage, carrots, beetroot, cucumber). The ultimate Polish dinner consists of two courses, with soup as the first one. When it comes to soups there is a wide variety to meet each taste, like rosół – chicken broth, ogórkowa – made of pickled cucumber, pomidorowa – tomato soup, żur – soured rye flour soup. Dinner should of course be finished with dessert. Typical Polish desserts include cakes and pies, such as makowiec – poppy seed cake, sernik – cheese cake, szarlotka or jabłecznik – apple pie.